Michael Kors MK5491 Ladies Rose Gold Chronograph Watch. 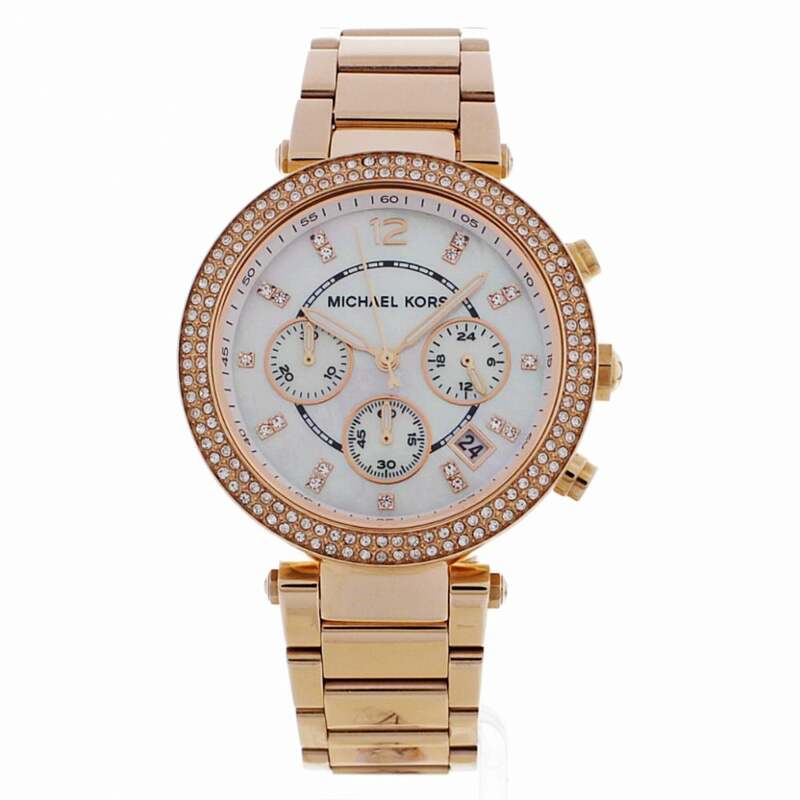 This Ladies rose PVD plated Michael Kors designer watch is the ultimate in designer watches. The MK5491 Ladies watch has a desirable rose PVD plated case with PVD plated strap. The mother of pearl dial gives a beautiful and elegant feeling to the watch as do the Swarovski stones that are used for hour markers on this exceptional piece. Selections of smaller stones also surround the bezel adding a further touch of class. In addition to sophisticated design and refined materials the watch the also features a host of practical functions such as date display window, fully operational chronograph and is water resistant up to 100 meters. This watch is manufactured to the highest standards, with quality and attention to detail in mind. All Michael Kors watches come with a two year Tic Watches warranty and an official Michael Kors Display Case.